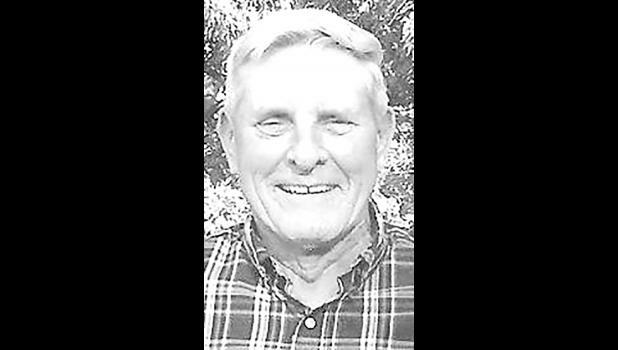 SOLDIER- Robert E. “Bob” VanDonge, 76, of Soldier, passed away Monday, August 27, 2018 at his home with family by his side. He was born June 26, 1942 in Holton, KS the son of LaVerne E. and Maxine B. (Sumner) VanDonge. Bob attended Cedar Bluff Country School, Soldier Elementary School and graduated from Soldier High School in 1960. After graduation, he attended one year at Washburn University. He was a farmer and dairyman in the Soldier community all of his life. He was a member of the Soldier Christian Church, serving as Elder for many years. Bob was a member of Soldier Lions Club, Soldier Cemetery Board for 26 years, Soldier Senior Citizens and served on the Soldier Fire Department Board. Bob married Nancy Lee Proctor on May 1, 1964 at Soldier Methodist Church. They celebrated 54 years of marriage. She survives of the home. Other survivors include his mother, Maxine VanDonge of Holton; three daughters, Kristi Suarez (Gus) of Holton, Kerri Smith (Garry) of Soldier and Karla Tanking (Andy) of Circleville; two brothers, Larry L. VanDonge (Linda) of Soldier and Ronald D. VanDonge (Becky) of Ozawkie; a sister-in-law, Kathy VanDonge of Redding, CA; 11 grandchildren, Aleesa Suarez (fiancé, Jared Harris), Kadi Dwyer (Sam), Hanah Barnett (Bryce), Justin Smith (Heidi), Travis Smith (Kari), Taylor Smith, Jayna Smith, Trent Tanking (fiancé, Kara Decker), Trey Tanking, Shay Tanking and Saydee Tanking; and five great-grandchildren, Tate and Channing Smith and Ryder, Annika and Kendall Smith. He was preceded in death by his father and a brother, Donald V. VanDonge. Funeral service will be held at 2 p.m. on Sunday, Sept. 2, 2018 at the Mercer Funeral Home in Holton. Burial will follow in the Soldier Cemetery. Family will greet friends from 2 p.m. to 5 p.m. Saturday afternoon at the funeral home. Memorials may be given to the Bob VanDonge Memorial Fund c/o Mercer Funeral Home, P.O. Box 270, Holton, KS 66436. The funds will be used to benefit the Soldier community. To leave a special message for the family, visit www.mercerfuneralhomes.com.